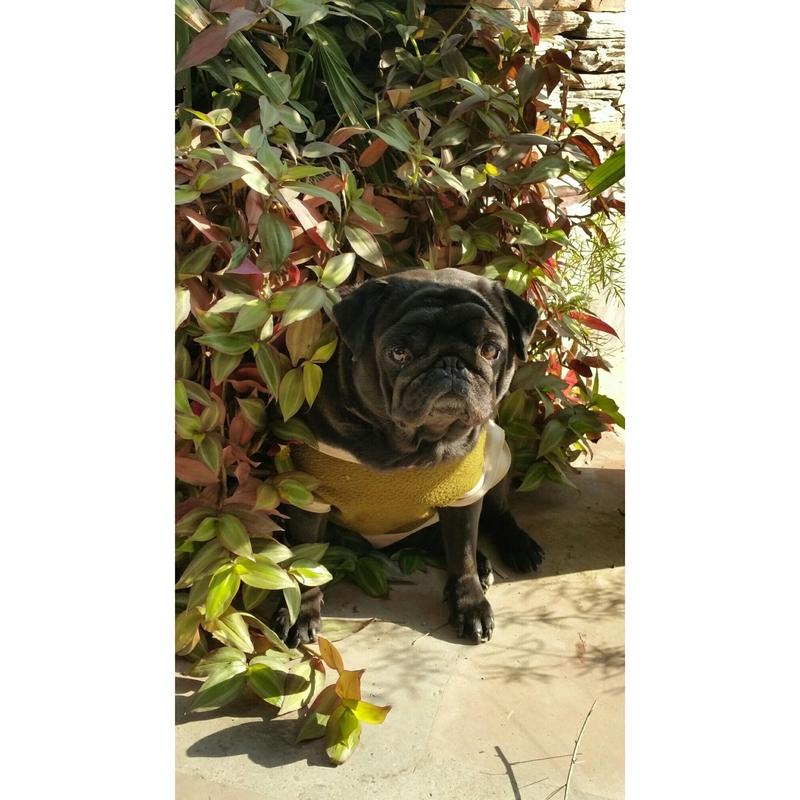 Living in Delhi exposes one to the most unimaginable scenarios. I routinely walk down different alleys around my studio and am never disappointed by what greets my eyes. 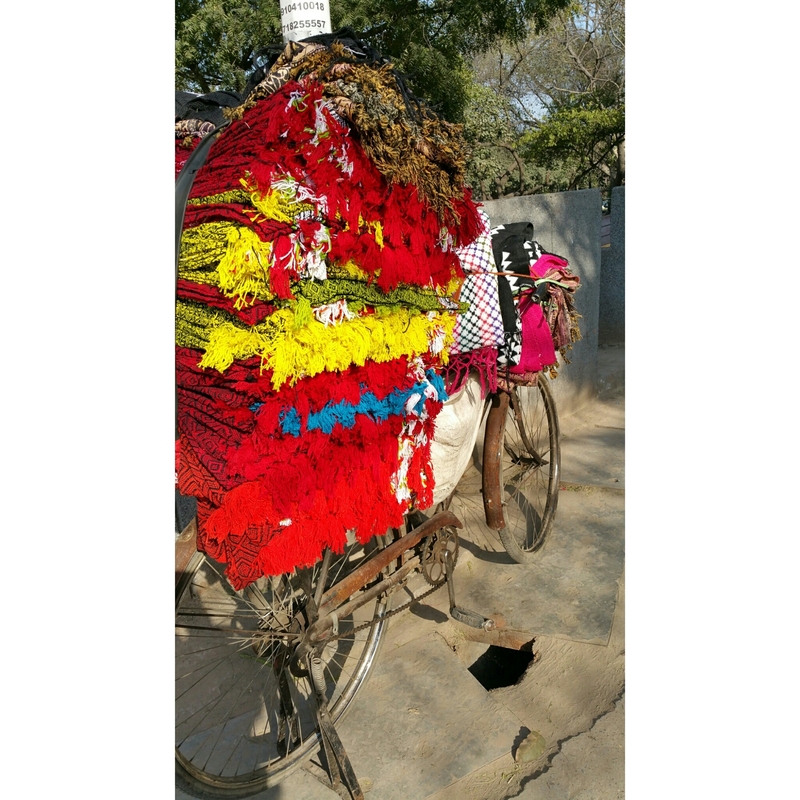 In this photograph, a rusted old bicycle holds the most vibrantly coloured bed spreads and other pieces of cloth. The owner of the venture was taking a break by having a cup of tea under the shade of a tree by the roadside. He had a long day ahead of him…. 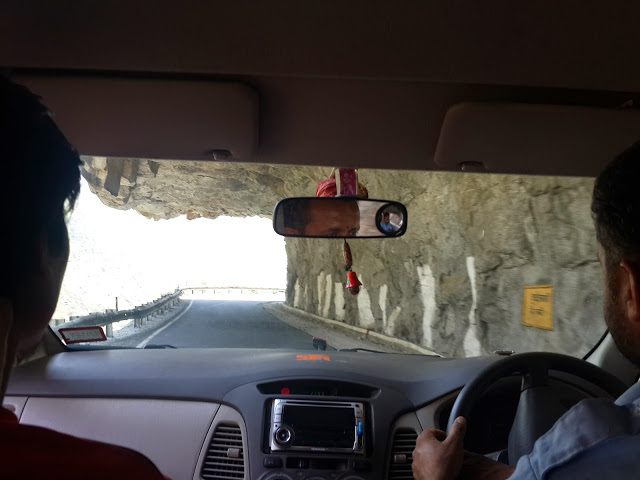 The roads in Himachal that take one to Spiti and beyond can make the heart clutch with fear and excitement. This overhanging mountain through which a road was blasted, makes one duck ones head automatically! This sight clutched my heart during our Republic Day. 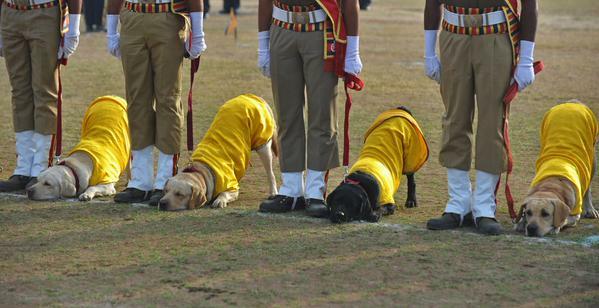 The Canine squad paying homage to the soldiers and martyrs who lay down their life for our country… Very touching..